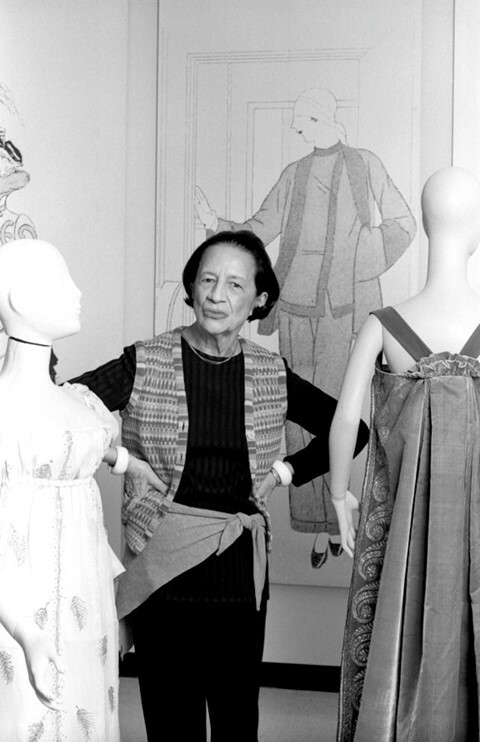 Diana Vreeland, legendary editor and consultant at the Metropolitan Museum’s Costume Institute, studied dance before entering the fashion world. It was on the dancefloor of New York’s St Regis Rooftop Ballroom that she was spotted in a “white lace Chanel dress with a bolero, and I had roses in my hair,” by Carmel Snow, then editor-in-chief of Harper’s Bazaar, who promptly offered Vreeland a job at the publication. Vreeland’s now oft-quoted ‘Why Don’t You...’ column is in many ways proof enough of her exceptional wit, taste and eccentricity (“Why Don’t You… Order Schiaparelli’s cellophane belt with your name and telephone number on it?” is one fine example), but her extravagant advice was just one of many strokes of genius she proffered throughout her life and career, which saw her go from Harper’s Bazaar to editor-in-chief of Vogue and then to the Costume Institute. She became known, for example, for a fervent and excited attention to detail, and for committing to things with zeal. Red was her signature colour, nails and lips painted so always, and naturally she wanted her apartment decorated in it too. “I want this place to look like a garden,” she said, “but a garden in hell”. “She made it ok for women to be outlandish, extraordinary,” Anjelica Huston once noted. Outlandish and extraordinary are perhaps the perfect words to describe Vreeland – or ‘DV’, as she was called by those who knew her. While at Harper’s Bazaar she discovered Lauren Bacall and had her put on the cover; later at Vogue she pioneered the youthquake movement (and even coined the term in 1965) and its stars including Edie Sedgwick, Jean Shrimpton and Penelope Tree. In publishing she satisfied her creative appetite and executed her fantastic ideas but apparently ignored the necessary business elements of the job, a fact that saw her fired from Vogue in 1971. At the Costume Institute, however, her input saw 14 exhibitions mounted in as many years, with each a veritable artistic and commercial success – so much so that shows began running for nine months at a time to meet the public demand, and the manner in which fashion is exhibited as an art form was revitalised. Aside from her second-to-none style and career, Vreeland was also a master of words, using them with humour and audacity. Here we’ve rounded up ten of her best musings.